Accredited Registrar Hosting Ireland has identified a trend where more and more clients are trying to add functionality to their website, even if it’s not what might be termed e-commerce. Businesses are starting to get savvy to the fact that website visitors want to do more than just find out information, even in traditional market sectors such as consultancy. A website should be the hub of all your activity offline and online, and should assist you in engaging customers. Natalie Cooke Consulting came from small beginnings and is now an award-winning business development consultancy firm. Founder and CEO, Natalie Cooke has always been passionate about growing and developing businesses. Her team offers focused, no nonsense practical advice, helping clients to improve their bottom line. Business development consultancy, feasibility studies, coaching, sales training, marketing training, events and project management are all part of the portfolio of services. In addition, Natalie Cooke Consulting is also an approved provider of mentoring and training courses for the LEO (Local Enterprise Office). Integral to the success of Natalie Cooke Consulting has been the profile of the website nataliecooke.ie. With offices in Waterford and a reach that covers the South East stretching to Cork and Dublin. Meeting the demands of clients across such a large geographical area is certainly a challenge for a small business. 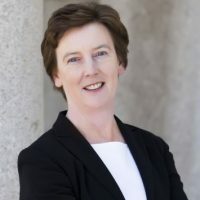 What about the future of nataliecooke.ie? Predominately the site provides information, but Natalie Cooke Consulting says more is on the cards. The ability for clients to download articles, case studies, book appointments, get assessments and training courses are part of the websites development road map. Natalie Cooke Consulting has found that more of their clients are online 24/7. Research has also shown them that their clients are expecting more from them online. Read more about the value of a website to your business. Tell us your digital story at marketing@iedr.ie.